When I bought Tom Yeoman’s BH in April, I was well aware of the performance of these aircraft and was convinced that N416TY would make an excellent floatplane. By July I had collected enough money to prompt Claire Sceli of Clamar Floats to begin the fabrication of a set of 2500 straights. These floats meet the float capacity requirements for a gross weight of 2700 lbs. (2500 lbs. per float exceeds the 180% of gross weight float capacity required). By mid October I hauled my newly constructed floats to a father and son team living in Marwayne, Alberta. 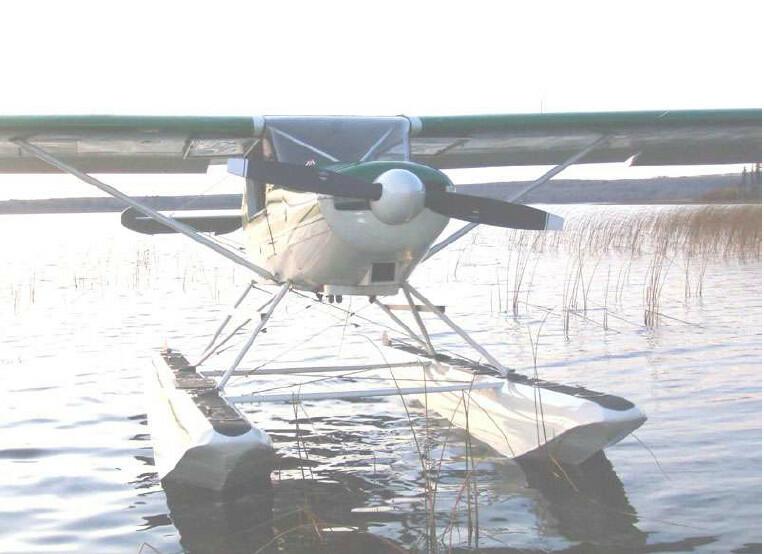 Charlie and Eddie Seville have scratch-built ten Bushmasters and have decades of experience installing floats.